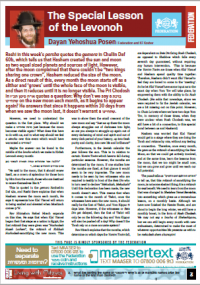 Rashi in this week’s parsha quotes the gemora in Chullin Daf 60b, which tells us that Hashem created the sun and moon as two equal sized planets and sources of light. 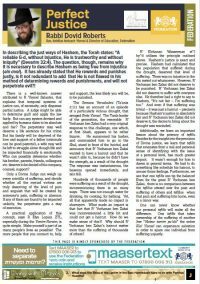 In describing the just ways of Hashem, the Torah states: “A reliable G-d, without injustice, He is trustworthy and without iniquity” (Devarim 32:4). 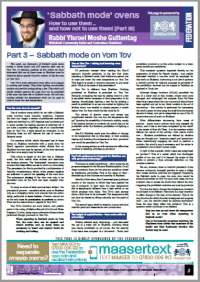 This week, our discussion of Sabbath mode ovens makes a timely finale and will examine their use on Yom Tov. 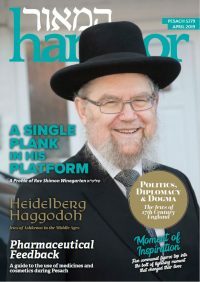 In previous sections of this article we have discovered that use of these ovens on Shabbos must be limited to follow specific halachic criteria. 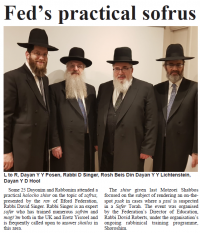 Is this the case on Yom Tov?